Treat your palate to 5 unique wines accompanied by our wine educator. 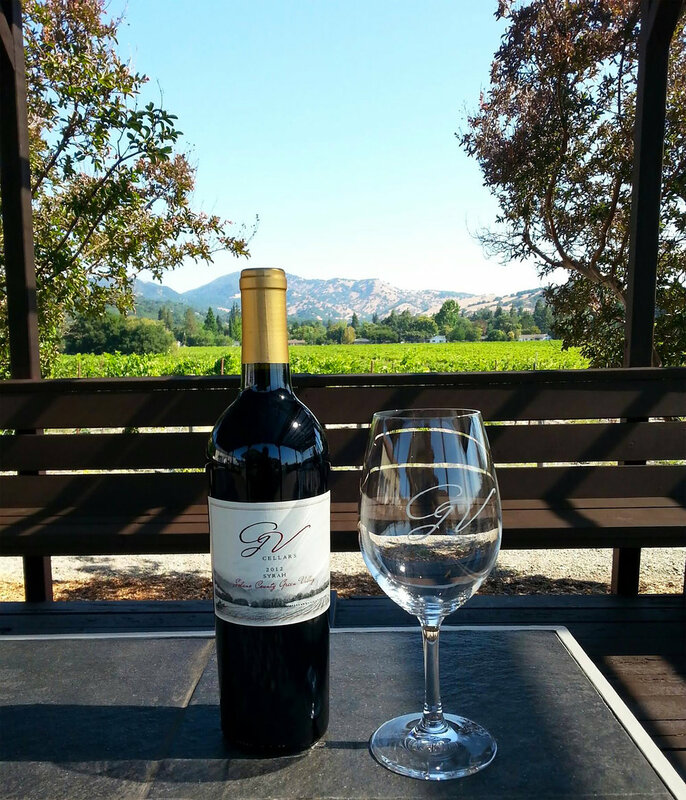 Enjoy the relaxed tasting room with an outdoor deck that boasts a view of our 30-acre vineyard. In addition, our Tasting Menu changes weekly so that each week will be a new experience. The individual tasting fee is $10 per person and may be waived if that person purchases 2 or more bottles. Reservations are required for parties with 6 or more guests. Escape the rush of the world and relax with our 30-acre vineyard view. Simply bring your favorite lunch and purchase a minimum one bottle to enjoy this lasting picturesque memory in Green Valley. There is limited seating. Please reserve your table at least 1 day in advance. We will confirm our availability and prepare your table within 24 hours. You may also schedule a table by calling 707-864-2089. Looking for an intimate private tasting or a relaxed winery atmosphere to host your next birthday party, bridal shower, fundraiser, or company event? You have found the right place. We offer 3 different packages that all include wine tasting by one of our wine educators.